Blepharoplasty, more commonly referred to as eyelid lift, is one of the more commonly performed procedures among both men and women. Over time, age, heredity, and gravity can cause the skin around the eye to lose its elasticity causing wrinkles and fatty deposits to form. Those who typically qualify for eyelid lift experience excess skin that may obscure the natural fold of the eyelid as well as loose skin on the upper eyelid, potentially impairing vision. Candidates may also experience puffiness around the eyes, dark circles and bags under the eyes, and excess skin and fine wrinkles around the lower eyelids. All of this can give the unwanted appearance of being tired or angry. Blepharoplasty is performed as an outpatient procedure under local anesthesia, sedation, or general anesthesia, depending on what Dr. Sardo feels best suits you. The procedure involves two different incisions, one in the upper eyelid crease and the other under the lower eyelid, so that all scars heal inconspicuously. 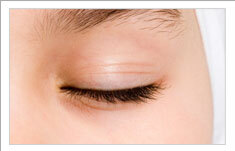 For the upper eyelid portion, the incisions are made in the natural fold of the upper eyelid. Through this, excess skin and fatty tissue is removed and muscles are tightened. For the lower eyelid portion, the incisions are made just below the lower lashes, through which excess skin, muscles, and fat are removed. Occasionally, excess fat may be redistributed to eliminate puffiness and bulges. In addition, other slight corrections may be necessary to fix special problems like muscles laxity. Dr. Sardo will assess this during the consultation. Once the surgery is complete, the eyelid incisions are closed using removable stitches and surgical tape. For the first few days following your procedure, it is important that you take adequate time to rest, ensuring that you keep your head elevated. You will experience some swelling and bruising typically within the first 48 hours following surgery. Follow Dr. Sardo’s instructions regarding the application of cold compresses and the use of pain medication to help with these. Mild swelling may continue for several weeks. Patients tend to report a “tight” sensation around the eyes; however, this can typically be controlled with medication. Most bruising will subside within the first seven to ten days. You may experience temporary sensitivity to light, excess tearing or dryness; however, these should subside fairly shortly. Occasionally, you may be recommended to use eye drops to help alleviate any itching or burning. The fee ranges from $2,500 – $6,500, depending on which lids are treated, the extent of the surgery, and the type of anesthesia required. The results from blepharoplasty can often be dramatic. You will look more rested, alert and rejuvenated, but it may take several weeks for the full results to appear. Any scars from the incisions should fade and eventually become unnoticeable. While eyelid surgery is permanent, results may be affected by lifestyle factors, age, and heredity. The puffiness and bags should not return, and typically patients report only fine wrinkling due to a loss of skin elasticity over time. Nevertheless, patients report being extremely satisfied with their results. To gain an understanding of potential results from this procedure, view Dr. Sardo’s eyelid surgery photos of actual Center for Beauty patients.